The day pass at Pallas is €34 making it one of the 5 cheapest ski Resorts in Lapland. Pallas is among the 10 best rated Ski Resorts in Finland. The ski resort is among the 5 ski Resorts with best conditions in Finland. Offering 7 miles of slopes and terrain, Pallas is among the 10 largest Ski Resorts in Finland. 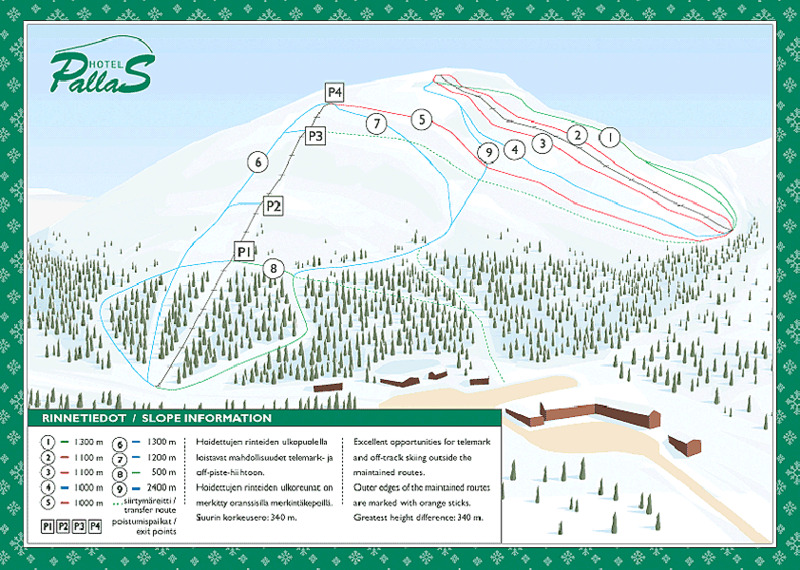 Das resort Pallas comes with 9 runs, floodlight facilities, 2 lifts and a biggest vertical drop of 340 Meters. The longest run is about 2400 Meters. The snow-school offers lessons in downhill, Telemark and snowboarding.